Another westbound Penn Central freight approaches the Joppa Road grade crossing south of Beulah Beach, Ohio. 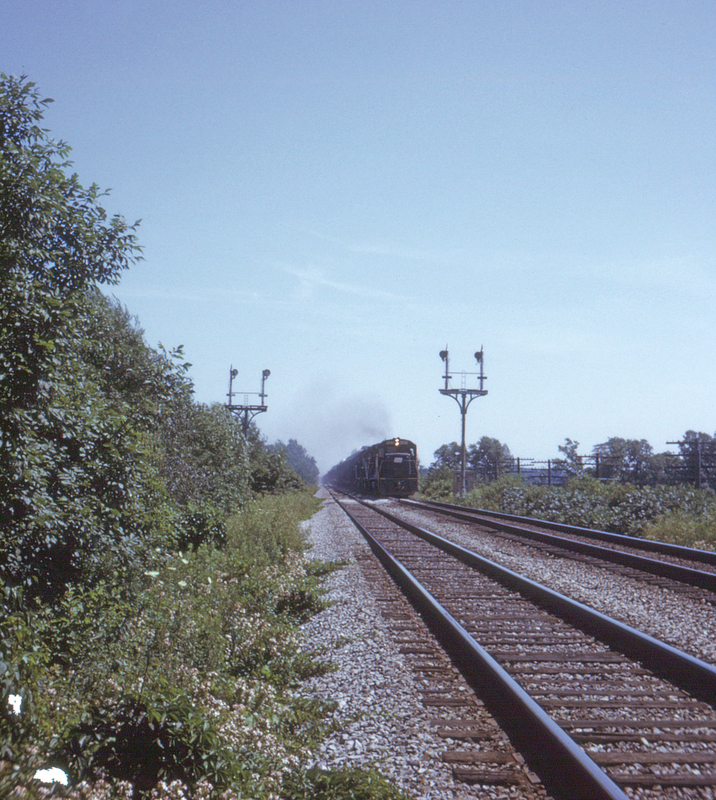 The tall signal gantries with one, two or three tri-light heads were a standard feature of the Perlman-era CTC. Note how far the left gantry is from the track; it looks like at least one track was removed here at one time and it wasn't felt necessary to relocate the signal.